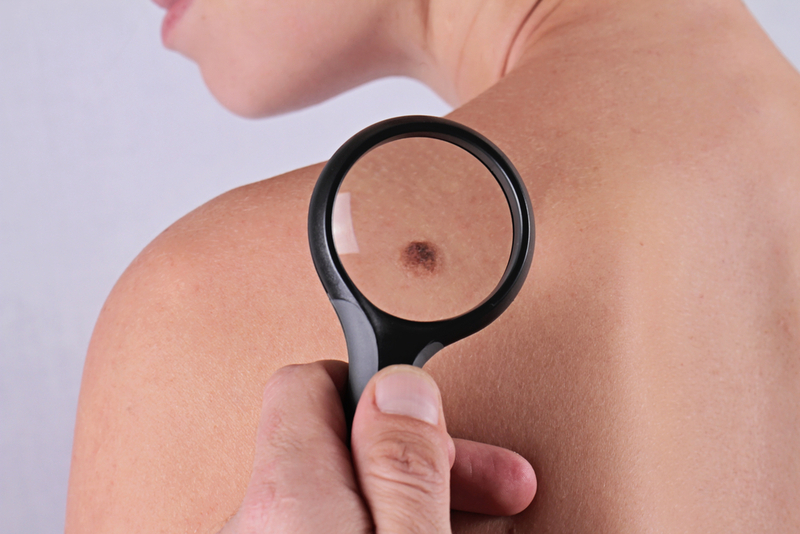 Skin moles occur when skin cells grow in a clusters instead of being spread throughout the skin. They tend to appear in the first few decades of a person's life and may darken during teen years, pregnancy, or after sun exposure. Moles can appear anywhere on the body in groups or alone. Most people have around 10-45 moles and may not even know about it. Some of them are harmless but some may develop into a skin cancer. If you see any unusual sores, lumps, markings or blemishes on the skin you should schedule a consultation with a health care provider.